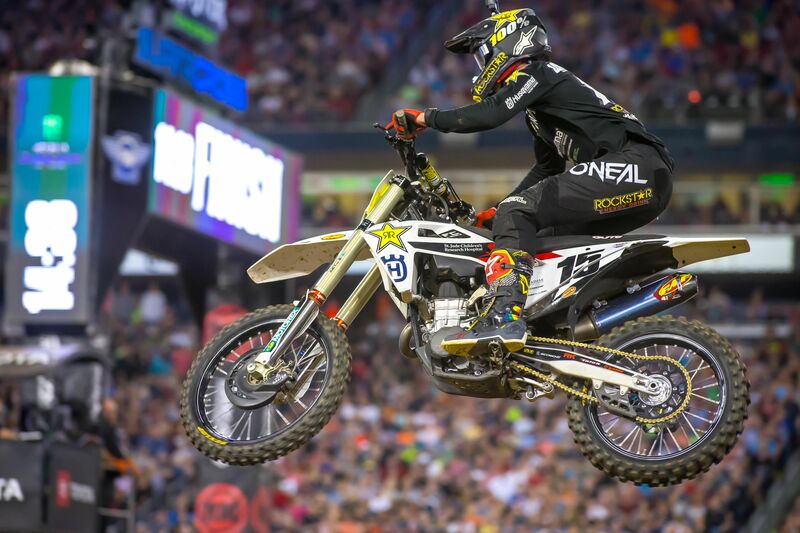 Round 14 of the 2019 AMA Supercross World Championship series hosted its first-ever Nashville SX inside Nissan Stadium in Nashville, Tennessee where the Rockstar Energy Husqvarna Factory Racing Team captured a pair of top-five finishes in the 450SX class. Team riders Dean Wilson and Zach Osborne rode their way to fourth and fifth-place finishes, respectively. After capturing an impressive third-place in timed qualifying, Wilson battled his way to a fourth-place finish in 450SX Heat 2. In the 450SX Main Event, Wilson got off to a great start aboard his FC 450 as he assumed second-place early on. Wilson battled in podium contention for the remainder of the race, where he finished just off the podium in fourth. In 450SX Heat 1, Osborne rocketed his FC 450 into the lead off the start as he challenged the front-runners early on. He continued to battle in the third-place position, where he secured a solid top-three transfer into the Main Event. He captured a top-ten position off the start in the Main Event, rounding the opening lap in seventh. He bounced around just outside the top-five through the first half of the race before putting on a charge to secure a spot inside the top-five. Osborne held strong in the final laps to secure a career-best fifth place in the 450SX division. Rockstar Energy Husqvarna Factory Racing’s Jordan Bailey qualified 10th to kick off the day of racing, where he lined up for 250SX Heat 1. Bailey put himself into eighth-place at the end of the opening lap and he quickly climbed his way into sixth, where he ultimately finished in the heat. In the 250SX Main Event, Bailey got a sixth-place start but he went down early on and dropped back to 19th. From there, he battled his way through the pack to ultimately finish 11th in the Main Event.